For Larger Quantities, please Call or e-mail us for a better price. Custom Cutting is Available to. automotive, constriction and recreation. Polyethylene feels like a kids pool noodle and is also ideally suited as a component material in products requiring a shock absorbing, vibration dampening, insulation, barrier and/or buoyancy component. 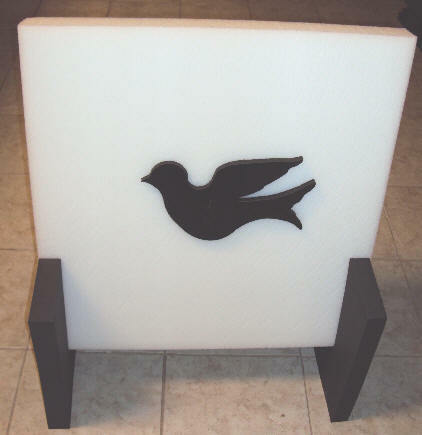 Polyethylene also comes on a roll in white or black 1/2″ and 1/4″ Thickness. 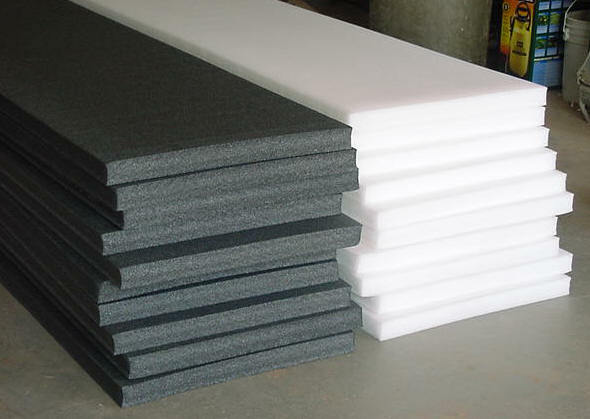 As the properties listed on the reverse suggest, the key features of polyethylene foam includes; Excellent Strength, resistance to creep under load, vibration and shock absorbency and water resistance characteristics. heavy products such as electronics, equipment and delicate items like glass. Also prevents scratches of polished surfaces and shock absorbing. Please email us with your zip code and the thickness of polyethylene foam you want. If this is not acceptable, please let us know ahead of time so we can skive it to the thickness you want. 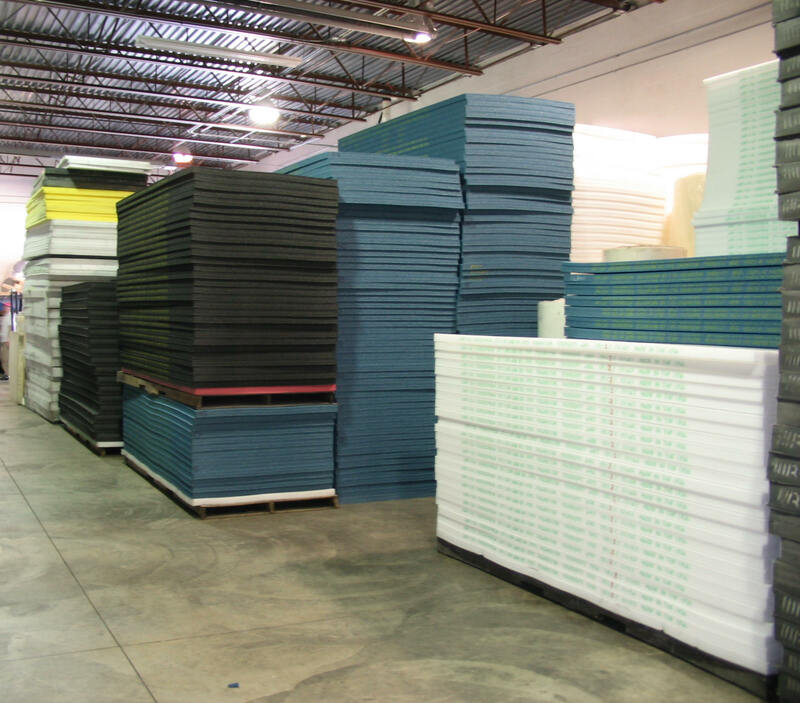 Laminated Foam: Planks are layered together via hot air lamination. Sheets grater than 1/2″ thick are made from 1/2″ sheets laminated together. thickness of polyethylene foam you want. Please email us with your zip code & thickness of polyethylene foam you want. the thickness of polyethylene foam you want. 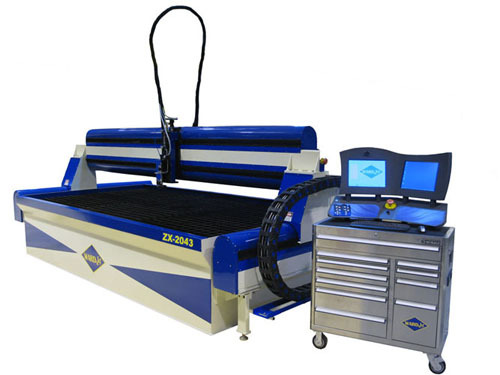 These waterjet service are available to any manufacture or customer that needs to protect delicate equipment, and professional advertising their devices. This is the perfect environmentally friendly technology solution for nearly all cutting needs and is less expensive then laser and die cutting. No minimum order required. 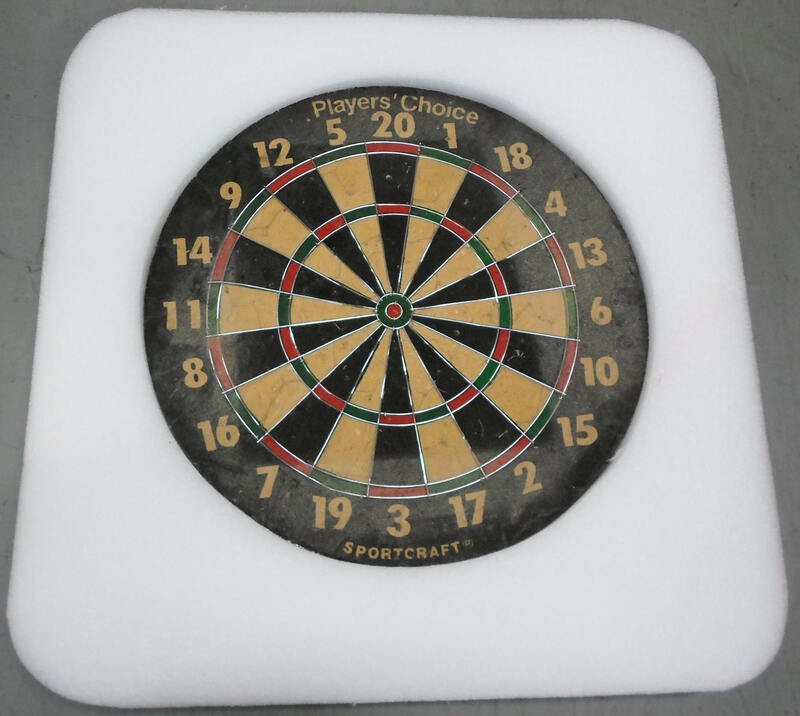 This archery targets give you more spots for shots because of the layering system. The layering system is more durable because the sides have super durable wrap which gives friction to stop arrows. High performance oversize targets at a great value. Test Trial shows that this target works with a 80lbs bow at a 20 yards distains. 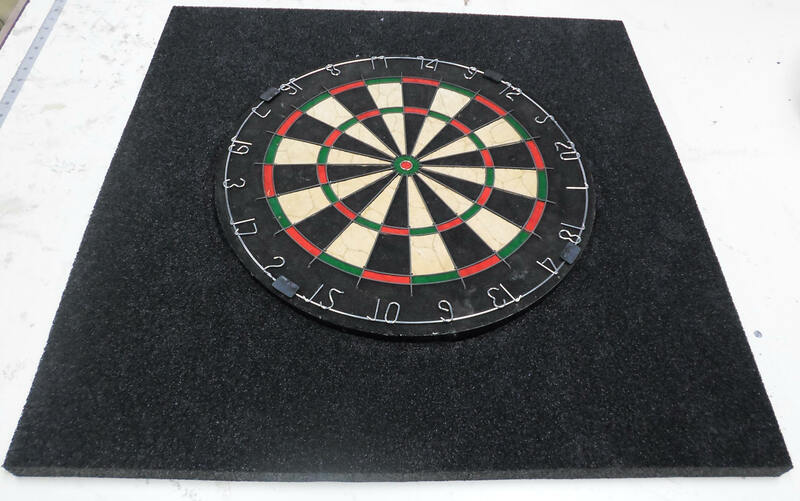 around your existing dart board so that your walls will not get damage. Comes in black or white. Please note: Once you place an order for this item we do not allow any returns for any reason. That is why it is best to test a small sample to see if it works for your purpose. that it forms to 48″ x 48″ target. that it forms to 48″ x 52″ target. 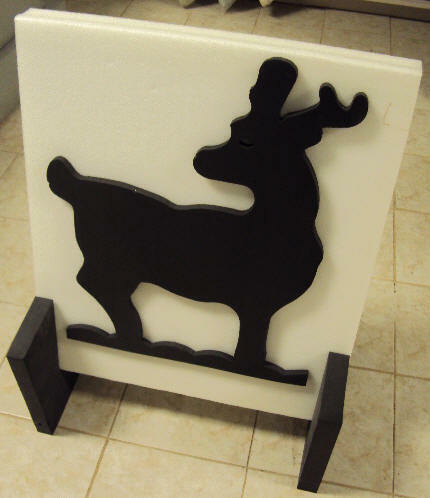 (2) Angle Wedge is 7” x 10” x 4.5” Thick- For extra support for the deer!! 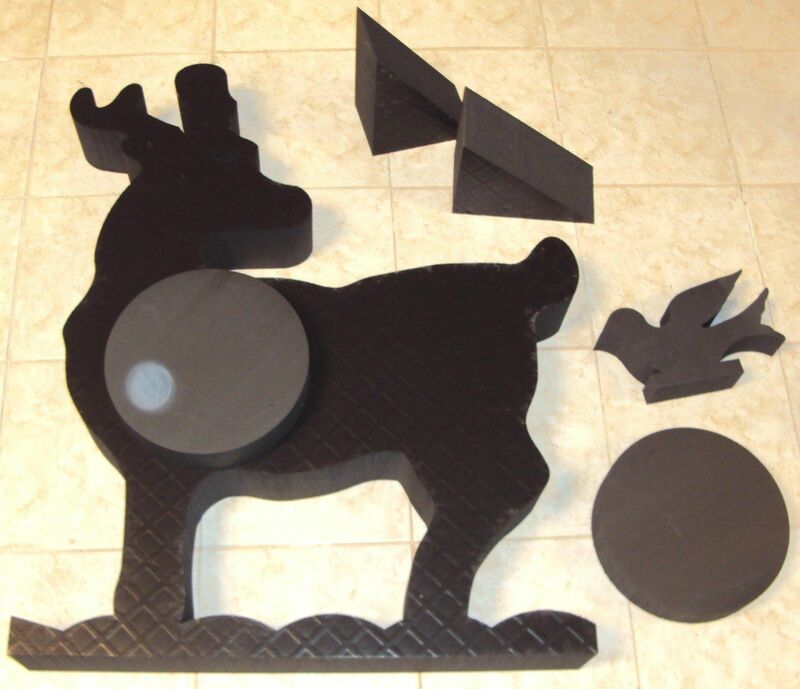 Please note: You will have to assemble the target circle, and wedge to the deer to get the desired look. 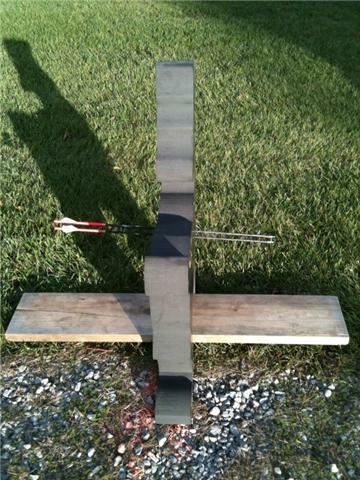 The picture above is an example of a hit target from 20 and 30 yard distance with a 70lbs bow at 4lbs minicell foam. Once the arrow is taken out of the target the foam shows self healing so you can reused the target.